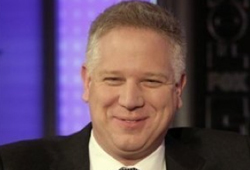 Fox News host Glenn Beck is known for generating controversy on television and the radio. But some Jewish leaders recently felt Beck went too far, and they made their grievances known to Fox News chief executive Roger Ailes. Two days later, Greer said he received a handwritten letter from Beck. We learned of the July 26 meeting and Fox’s response to Beck’s comments through an email Greer sent to key supporters and allies of his organization. Greer confirmed the authenticity of the email, which was passed along to us by a source.